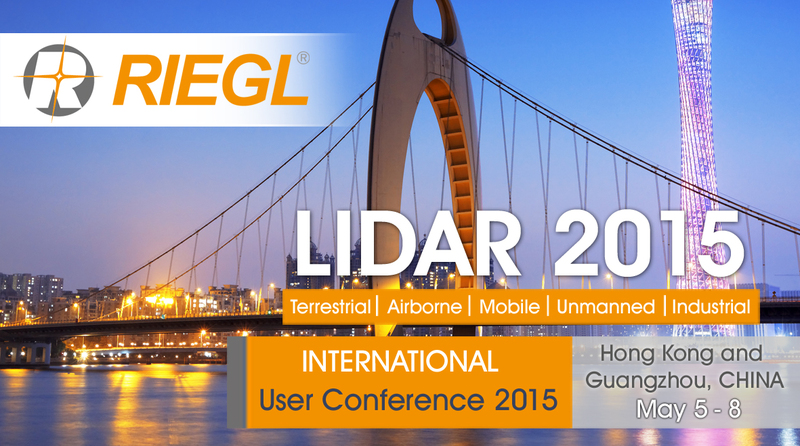 RIEGL LiDAR 2015 International User Conference Registration is Now Open! International User Conference Registration is Now Open! RIEGL LiDAR 2015 will be held Tuesday, May 5 through Thursday, May 7 in Hong Kong, and Thursday, May 7 and Friday, May 8 in Guangzhou (Canton), China. RIEGL is putting together a diverse and exciting agenda for RIEGL LiDAR 2015, proving the broad usage of RIEGL LiDAR equipment in applications such as airborne scanning, bathymetry, UAV scanning, terrestrial scanning, mining, forensics, mobile scanning, railway scanning, and more. We are inviting users to submit abstracts now. If you are interested in presenting at the Hong Kong and/or Guangzhou conferences, please visit www.riegllidar.com for more information! The deadline for abstract submission is January 31, 2015. RIEGL will be unveiling brand new products and major software updates during RIEGL LiDAR 2015 to its international community. Take part in these introductions, experience captivating keynotes and presentations from industry experts, meet with members of the RIEGL community from all over the world, and join us for exciting social events in the spectacular surrounding of two vibrant mega cities. We are proud to announce that Esri will be our exclusive Platinum Sponsor of RIEGL LiDAR 2015! More confirmed sponsors include Applanix, Flying-Cam, 3D Laser Mapping, Airborne Hydro Mapping, Certainty 3D, Cyark500, Aeroscout, and technet-rail. RIEGL is also pleased to announce its first keynote speaker for RIEGL LiDAR 2015: Mr. Lawrie Jordan, Director of Imagery from Esri, with over thirty years of experience as a leader in the field of image processing and remote sensing. Make use of this unique opportunity to present your products and services to the worldwide RIEGL community. Sponsorship opportunities are still available. Please visit www.riegllidar.com for more information. The Hong Kong website is now open! Please visit www.riegllidar.com and follow the Hong Kong link for registration. Early Bird Registration ends on February 1, 2015. The Guangzhou (Canton) event website and registration site will be opening soon. 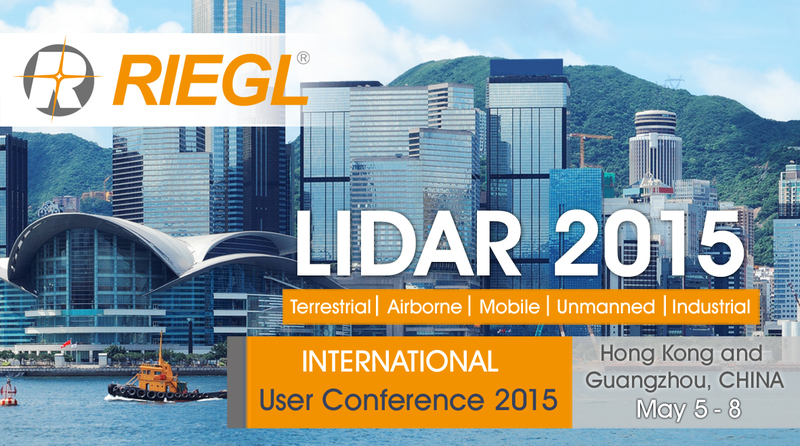 We are looking forward to welcoming you to RIEGL LiDAR 2015! LiDAR News, American Surveyor, Geoinformatics, xyHt, Point Of Beginning, GIM International, Earth Imaging Journal, SPAR Point Group, Geoconnexion, GeoProfi Russia, Inside Unmanned Systems, GIS Business, Vector 1 Media, GIS Café, Directions, International Mining, Geomatics World, Business Geomatics, and Geospatial Media!